Samy Kamkar has an interesting post on the security implementation in the Microsoft wireless keyboard. Using some smart heuristics, the scanning period to find and get access to the key presses of a wireless Microsoft keyboard is only 40s. 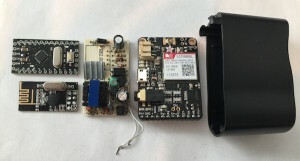 In addition to discussing the protocol and how to break the security of it, he demonstrates a build of a sniffer hidden inside a USB charging device – the KeySweeper. Leave it in range of the keyboard and wait. The cost of all this? 10 – 80USD, depending on how advanced you want to make it.